We are excited to share with you an interview with Beverly Thompson, a Women for Women International super-supporter who recently visited Rwanda. My name is Beverly Thompson. I am an engineer, a scholar of peacebuilding and development, and a WfWI supporter since 2009. In the past I have volunteered for WfWI and have had the pleasure of sponsoring seven women to go through the organization’s yearlong training program. What introduced you to WfWI and what led you to make the decision to support and sponsor through Women for Women International? In October 1, 2009 I watched an episode of The Oprah Winfrey Show in which Oprah, inspired by New York Times best-selling book Half the Sky by Nicholas Kristof and Sheryl WuDunn, highlighted the powerful stories of women overcoming adversity. One of the people featured was Zainab Salbi, WfWI’s Founder. After watching the show I was moved to do something to support women who had similar stories as those featured on the show. I went to WfWI’s website and signed up to sponsor a sister that same day. My first sister was a woman in the Democratic Republic of the Congo. I was so excited about the work that WfWI was doing that I also became a volunteer. I typically went to the office once a week with other volunteers to stuff envelopes, mail letters from sisters to their sponsors and enjoy the company of others with the same passion for WfWI’s work. You recently had the chance to visit Rwanda. Tell us about your trip and the extraordinary encounter you had with one of the women you sponsored through WfWI. The trip was organized by Half Sky Journeys and Global Engagement Institute for a group of women leaders. During the journey we had the chance to meet inspiring Rwandan women leaders, who have played a crucial role in transforming the country after genocide. We met with government officials and parliament members – some of whom were genocide survivors – and discussed issues related to gender equality and peacebuilding initiatives led by women. In the rural areas we met with women’s cooperatives that manage coffee farms. We also visited the Women’s Opportunity Centre (WOC), created by WfWI. There we met WfWI graduates and local women who own small businesses and are learning skills at the WOC classrooms. The importance of education, compassion, and using local knowledge to derive community-based solutions were some of the themes that were prominent in all our conversations. I was very excited to have the opportunity to meet one of the three Rwandan women I have sponsored in the past. With the help of WfWI and Half Sky employees we were able to find Stephanie, one of my sisters, and the experience was very emotional. How did you feel when you met with Stephanie? When I first saw Stephanie, it was a little surreal. We actually smiled and stared at each other almost in utter shock and disbelief. I was feeling many different emotions. I went on this journey not sure we would meet, and then despite some logistical challenges, a miracle occurred and there she was. We had a wonderful time together! It was heartwarming to realize that through the letters that I sent she felt like she knew me, even though we never actually met. 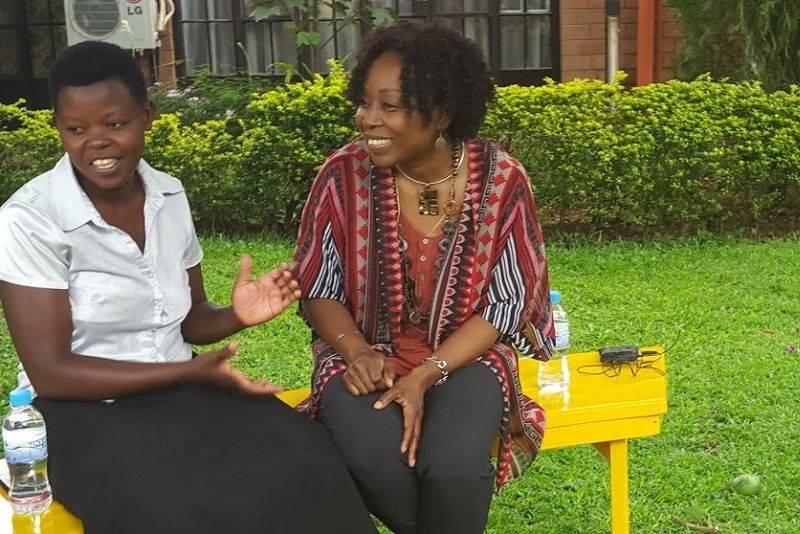 We talked about her life, and I told her about my work in development, supporting women and girls and why it was important for me to come to Rwanda. She talked about the important skills she learned through WfWI and described the difficulties faced in creating a sustainable business due to lack of capital. Together we explored ways to help her get back on her feet, and she made a plan to start her agricultural business again. I was so inspired by her determination and resilience. Based on your experiences as a sponsor, volunteer and supporter - what makes investing in WfWI different? As a supporter of WfWI for six years, I have found that there are several key areas that set this organization apart. WfWI programs help women at the most grassroots level create sustainable livelihoods for themselves and their families. 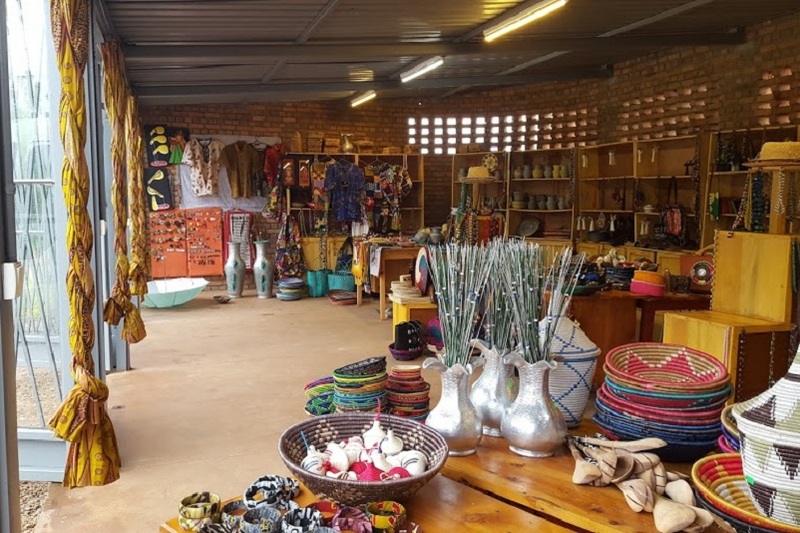 In the particular case of Rwanda, the WOC works to support the Rwandan government’s Vision 2020 and Economic Development and Poverty Reduction Strategy, to ensure that these programs will have the greatest impact for women and their communities. In addition, it is great that WfWI has used feedback from graduates to provide post-graduation support services designed to improve the sustainability of women’s success and accomplishments. Another thing that makes WfWI different is its work to engage men because in order to work towards gender equality, we must have men as allies and partners. WfWI also does a great job of keeping sponsors informed about the status of programs within each country and connecting sponsors to their sisters. On several occasions I have had the opportunity to participate in special calls with other sponsors to hear information on the status of current and new programs from country directors. Anything else you’d like to say to fellow supporters of Women for Women International? Your contribution makes a difference! Make sure to sponsor a woman and don’t hesitate to send a short note, a long story, a picture, or a word of encouragement to the women you sponsor. Your sister appreciates contact from you more than you know. I know that because that’s what Stephanie shared with me.